When do you place your napkin on your lap? Answer: Wait for the Host to unfold his napkin before unfolding yours. When do you begin eating? Answer: Guests should wait to put their napkins on their laps; until the Host has been seated at the table. If the Host is not seated at your table the Guests may be seated after all the other Guests have arrived at their table. 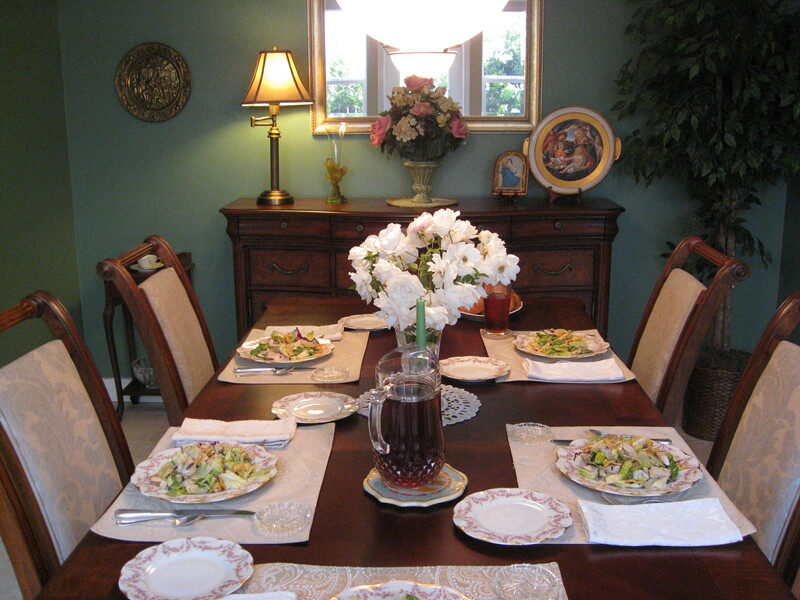 The Guests should not begin each course until all Guests at the table are served. This entry was posted in Authentic Self, Dining Etiquette and tagged dining etiquette, napkins, Thanksgiving Dinner, when do you begin to eat. Bookmark the permalink. Are those dishes Limoges, Lori? Love your table! Actually the “photo” opportunity was from a few years ago at Barbara Burnett Brock’s home, I will inquire with her re: the dishes. Thank you for your support.